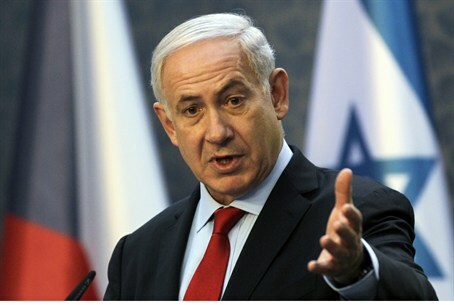 "The problem of the illegal aliens must be solved and we will solve it," Netanyahu said. "We will complete construction of the fence within a few months and we will soon begin repatriating illegal aliens back to their countries of origin.."
"However," Netanyahu said in reference to violence that erupted following a rally in south Tel Aviv demanding deportations begin. "I would like to make it clear that there is no place for either the expressions or the actions that we witnessed last night." Late last year, Netanyahu – who has described the deluge of illegal aliens in Israel a "national catastrophe" and "demographic threat" – said he would travel to Africa to meet with leaders and arrange for the safe return of their nationals currently in Israel. Israel's left has derided attempts to deport illegal aliens as 'racism' and 'incitement,' and argued that returning African refugees to their countries – especially Sudanese nationals – would endanger their lives. However, discussions between the Foreign Ministry and the Attorney General this week concluded that in most cases illegal aliens from Africa can be safely returned to their countries of origin. Israel's state prosecutor has been tasked with investigating the circumstances of illegal aliens who do claim to be legitimate refugees on a case by case basis. However, most illegal aliens come to Israel seeking work and do not qualify as refugees. He singled out MK Miri Regev – who also spoke at Wednesday’s rally – as an example of a lawmaker vigorously working to force the government to establish clear policies and working solutions on the problem of illegal aliens in Israel. Meanwhile, Tivka neighborhood Councilor Gal Sharabi said Thursday marked the first time he had seen true anger burning in his neighbor's eyes. He cited years of frustration and rising violence by illegal immigrants as the reason tensions finally boiled over.